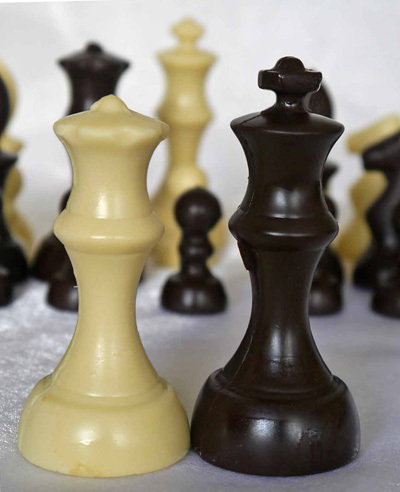 Hand-made chocolate chess set decorated with white, and dark, chocolate. Set includes, 32 pieces in total, 16 in white chocolate, and 16 in dark chocolate. Weight 200g for complet set (3D).